Whether you arrive in time for the spring dogwood blossoms or for fall’s Barbecue on the River festival, you’ll find plenty of weekend-worthy happenings in Paducah, Ky., all year long. This historic riverfront town offers a patchwork of activities that suit all types of travelers. A stroll through the heart of Paducah’s dynamic downtown highlights this community&apos;s commitment to creativity and culture. Designated as a Creative City by UNESCO in 2013, Paducah’s support of the arts is apparent around every corner. On the streets of Lower Town, home of the award-winning Artist Relocation Program and the beehive of activity at the Paducah School of Art & Design, creativity is in the air. Take a walk through Midtown and you’ll find a city that’s welcoming new ideas, as the revitalized Coca-Cola bottling plant now houses an artist collective, Ochre, and the town’s first craft brewery, Dry Ground Brewing Company. In recent years, Paducah has transformed into a hub for artists, and its progressive film festivals and music venues have drawn talent from around the world. Through these programs, the people of Paducah have broadened their horizons and embraced other cultures. During this evolution, the city’s lifeblood has never changed. Hugging the town’s eastern border, the mighty Ohio River remains the heart of Paducah. While this immense waterway serves as a destination for people to enjoy the outdoors, exercise and simply relax, it also provides a magnificent backdrop for festivals and events year-round. 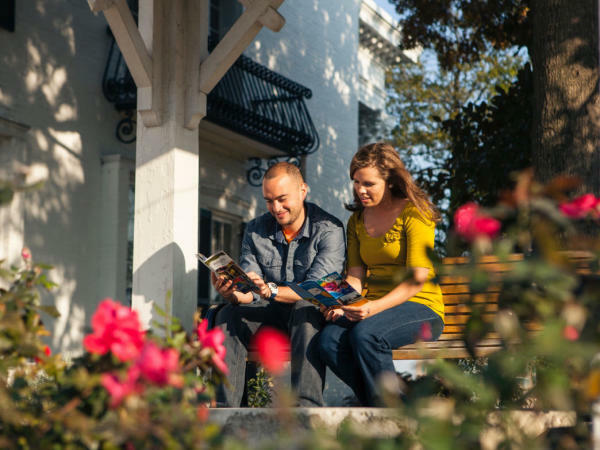 With so much to discover, you might need a helping hand to guide you through your next trip to Paducah. To help you make the most of a weekend visit, we’ve put together a 48-hour itinerary featuring top spots for food, fun, and a good night’s rest. Begin your 48 hours (or more) any day of the week - you choose! Do you like to start your day with coffee and a hearty breakfast? Or, maybe you prefer hot tea and a tasty pastry. Whatever you desire, you’ll find plenty of cafes, coffee shops and eateries to fuel your morning in Paducah. Start the day right with unique breakfast fare at the Gold Rush Cafe. Ever heard of a Scotch egg? It’s a hard boiled egg covered in sausage and rolled in bread crumbs, and it’s a highlight of the menu. It’s also hard to go wrong with the bread pudding waffle or the biscuits. For Sunday brunch, consider Shandies or The Juniper Room at Smedley Yeiser. For a relaxed cup of coffee in a charming location, look no further than Pipers Tea & Coffee or Etcetera Coffeehouse, both open seven days a week. 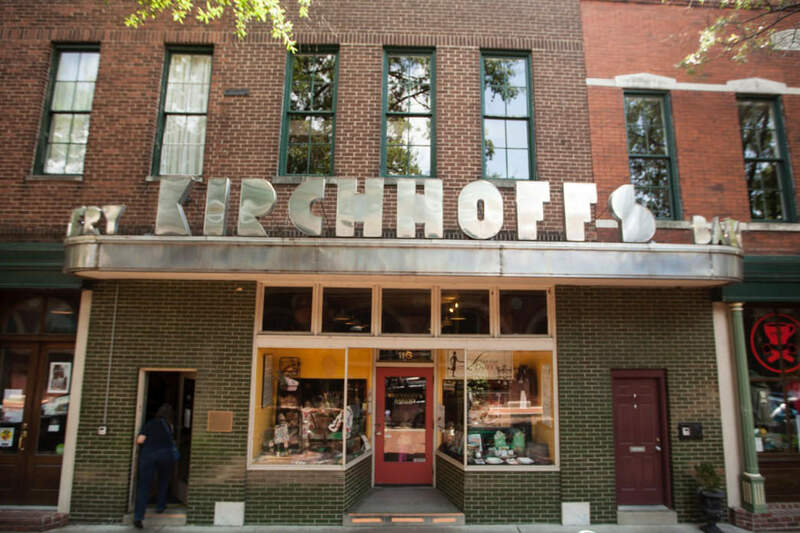 Add in the relationship with the locally famous Kirchhoff&apos;s Bakery and Etcetera Squared is must-stop destination. Paducah is on the National Register of Historic Places, and it’s full of Southern charm. The compact downtown makes seeing the sites a breeze. While you’re there, marvel at the architecture, have lunch, and pick up some handcrafted goodies at art collectives and galleries, boutiques and specialty shops. Hands down, the National Quilt Museum is a must-see. The largest quilt and fiber-art museum in the world holds a few surprises for those unfamiliar with the artform. These aren’t grandma’s quilts (though those are nice too), but the best of the best in quilt design from around the world. 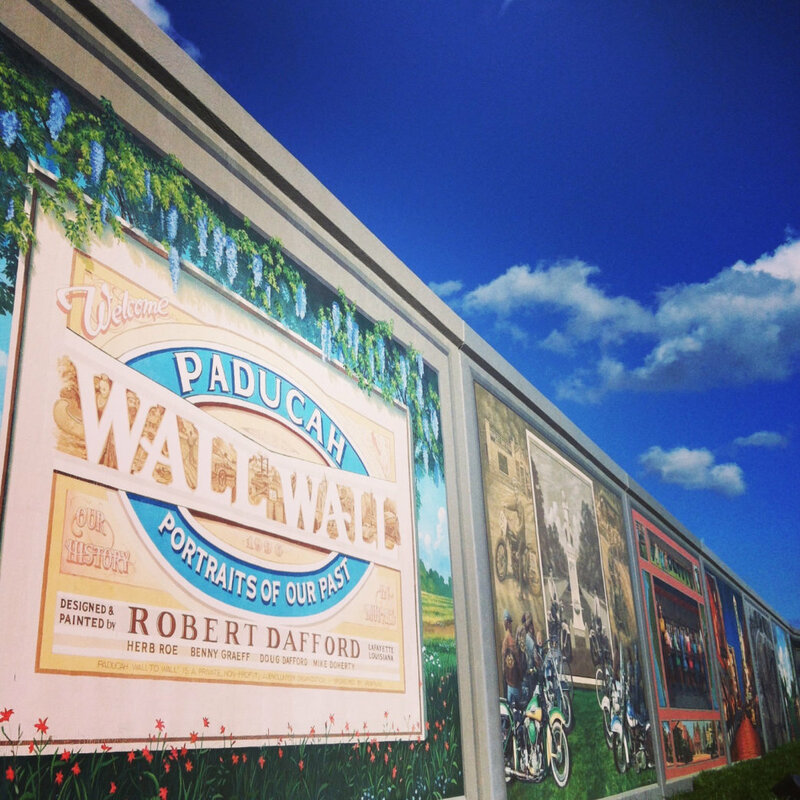 While the National Quilt Museum is widely considered Paducah’s premier experience, the city’s "Wall to Wall" Floodwall Murals are a close runner-up. Created by Robert Dafford and the Dafford Murals team, these 50 life-sized panoramic murals overlook the confluence of the Ohio and Tennessee rivers. As you enjoy broad views of waterway, you can stroll along the murals, which invite you to discover Paducah’s rich history at all hours of the day. If you’re a history buff, you should also visit the Lloyd Tilghman House and Civil War Museum or the William Clark Market House Museum. Built in 1852, the Tilghman house is a Greek Revival home that has been renovated and turned into a museum highlighting Western Kentucky’s role in the Civil War. The Market House Museum features rotating exhibits on the rich history of Paducah in one of downtown’s most historic buildings. As you’re investigating Paducah’s past, you should step into the shoes of a boat captain in the interactive simulation at the River Discovery Center, which celebrates the city’s maritime legacy. Then, take that newfound knowledge of boat piloting down to the Paducah riverfront and imagine captaining on these storied waters while enjoying the views. For a little exercise, take a romantic stroll or bike the Clyde F. Boyles Greenway Trail, which allows hikers and bikers to access several city parks, ranging from the riverfront area to Noble Park and Stuart Nelson Park to the west. On the far west end of the Boyles Greenway, enjoy the woods and meadows while keeping an eye out for deer. At Noble Park, stop for a picnic on the lake or drop a fishing line in the still water. Or, perhaps join in on the action over at the skate park before following the trail all the way into Paducah. Paducah’s creative awakening has had ripple effects throughout every aspect of city life, including the culinary scene. While visitors will still find delicious barbecue, they can also enjoy fine dining and modern farm-to-table fare. For a laid-back local flavor, try the family-owned Starnes Bar-B-Q. It’s a must stop for authentic western Kentucky barbecue in unassuming digs with a mortal price tag. For a fun, retro atmosphere, steer on over to Parker’s Drive In on Lone Oak Road. 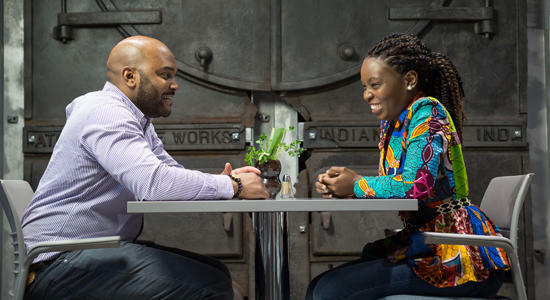 Any "localvoire" won’t want to miss dinner at the Freight House, which rotates its menu often and uses seasonal ingredients from sources within a day’s drive. The Freight House also offers one of the finest selections of bourbon and domestic beer and wine in Western Kentucky. Allow Paducah&apos;s Purple Toad Winery to cap off a perfect day of sightseeing and adventure with one of its award-winning offerings. Even "non-wine people" find something to love here with the innovative flavor options: Chocolate Strawberry, Cranberry, Lauren&apos;s Blackberry, and Paducah Peach. As you plan your evening, keep in mind that some Paducah establishments, such as Starnes Bar-B-Q and the Purple Toad Winery don’t stay open late. 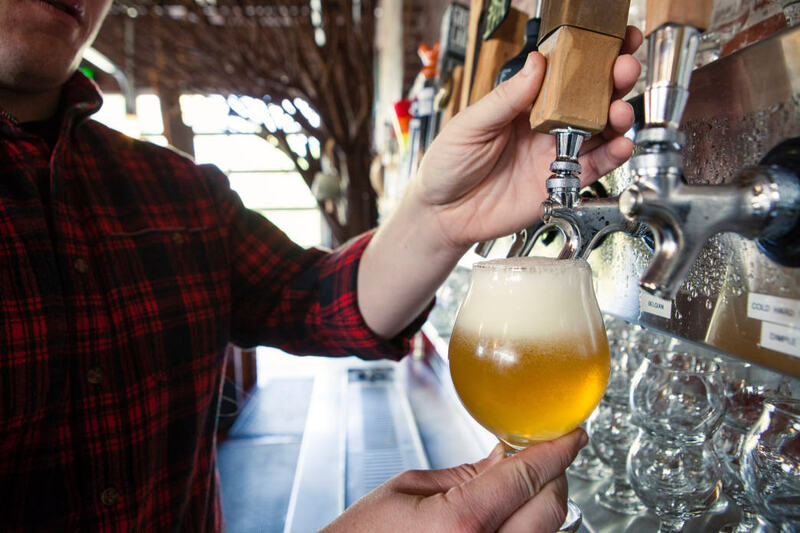 But, local breweries and distilleries, like Dry Ground Brewing Company, Paducah Beer Werks and Silent Brigade Distillery, are open until the wee hours and host live music most days of the week. Few things are finer than capping off the night with a craft beer or craft cocktail as you absorb the sights and sounds of the local nightlife. Graced with beautifully preserved buildings dating to the 1800s, Paducah offers several charming places to get a good night’s rest. Local B&B’s and hotels not only surround you with elegant architecture, but they also feature displays of local art. Mixing old-world and modern decor, the relatively new 1857 Hotel in Historic Downtown features 10 unique rooms that feature large sitting areas and rotating art. Even local chain hotels are adorned with paintings, quilts and other pieces, demonstrating the city’s devotion to the arts. Plan your Getaway to Paducah! When you combine Paducah’s cultural and artistic landscape with its culinary scene and recreation opportunities, you have the perfect destination for a 48-hour getaway. While this guide will help you plan your trip, savvy travelers can sign up for Paducah’s Rhythm E-Newsletter to get the latest news on events and other happenings. With all of the changes happening in Paducah, you never know what could be on the horizon in this Creative City! Written by Lisa Collard for RootsRated Media in partnership with Paducah Convention & Visitors Bureau.